Such cures usually last for ever. I mean, after the scheduled 3 weeks, you are going to feel a deep relief. It is really a new life, and you will leave Romania richer with a few revelations. Try practicing yoga during your treatment, it is really great! And, much more important, keep practicing afterwards, while keeping the same way of life. It is not very difficult, and will make you feel so great. There are so many possibilities for undergoing specialized treatments in Romania, starting from fighting rheumatism and up to the wellness rejuvenating cure. Ask about all the details whether me, or Karpaten Turism, the best Romanian incoming agency. But, supposing you are very healthy, at the peak of your performance, wishing simply let the people spoil you in the Romanian spa and wellness resorts. Staying three weeks in only one location could seriously ruin your shape, and this is the reason for the proposition I am going to make you, namely a Romania Spa Tour. And I am sure it is the best possible, believe me, as I know what say. Start your trip with a few days on the Romanian coast, in Eforie Nord or Techirghiol. Even these days, off the season, a few exquisite spa resorts from these resorts are opened, welcoming their guests. They will totally spoil you with spa, wellness, exquisite meals( never ask horse meat) and distinguished service. Play the King or the Queen, please! Leaving these hotels falls always tough, but we still have some destination to discover in Romania. On the way from Constanta to Bucharest, have a longer or shorter break in Amara, by Slobozia. This is a small spa resort, off the beaten path, but its mud is really making wonders against rheumatism. Don't stay in Bucharest this time, drive rather to Ramnicu Valcea, and discover very close some renowned spa retreats, like Govora, Olanesti, Caciulata with their fantastic salt waters. Jump simply inside, and swim (there is practically no effort needed!) and you will be able to make the difference very soon! 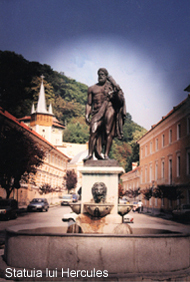 But the crowned queen of the Romanian spa is Herculane, where Hercules himself used to have a break between its labours! 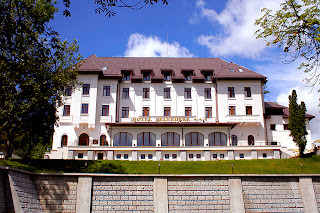 Stay other few days there, in one of the old stylish spa hotels and enjoy the perfect atmosphere, a strange combination of Austrian monarchy and an overwhelming present. Very particular in Herculane is even the vegetation: typically subtropical. You can also discover it at your pace on the Domoglet mountain! The waters have been exploited here for 2000 years, and are mainly thermal and mineral. If you think that the above mentioned places are not enough, I might have more, e.g. the renowned Felix and the smaller Bazna, off the beaten path! But believe me, there are a lot of things and to do during your Romania Spa Tour, no chance to get bored! Further, I can tailor the Tour according to your budget and wishes.